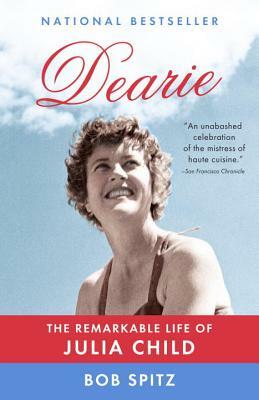 Chronicling Julia's struggles, her heartwarming romance with Paul, and, of course, the publication of Mastering the Art of French Cooking and her triumphant TV career, Dearie is an extraordinarily entertaining account of a truly remarkable life. Bob Spitz is the award-winning author of The Beatles, a New York Times best seller, Reagan, as well as seven other nonfiction books and a screenplay. He has represented Bruce Springsteen and Elton John in several capacities. His articles appear regularly in magazines and newspapers, including The New York Times Magazine; The Washington Post; Rolling Stone; and O, The Oprah Magazine, among others. He can be reached at dearie@bobspitz.com.